More than 30 projects for every gift-giving occasion. Designs include garments and accessories for the entire family as well as gifts for four-legged friends and the home. Knitted Gifts’ unusual and inspired projects range from beautiful hats, bags, scarves, socks, mittens, and gloves to unique gifts such as a felted oven mitt, napkin rings, baby blocks, a hobby hourse, a catnip mouse, a car-seat-friendly baby bunting, floral ballet shoes, and much, much more. From classic to contemporary projects that are innovative in style, these projects are designed by a variety of top knitwear designers, including Nancy Bush, Mags Kandis, Pam Allen, Veronik Avery, Chrissy Gardiner, Marta McCall, Kristin Nicholas, Ann Budd, and more. Knitted Gifts focuses on smaller projects that can be created in a relatively short period of time – perfect for those last-minute gifts. But, there are also a few heirloom-quality masterpieces for those knitters that want to give something extra special to loved ones. 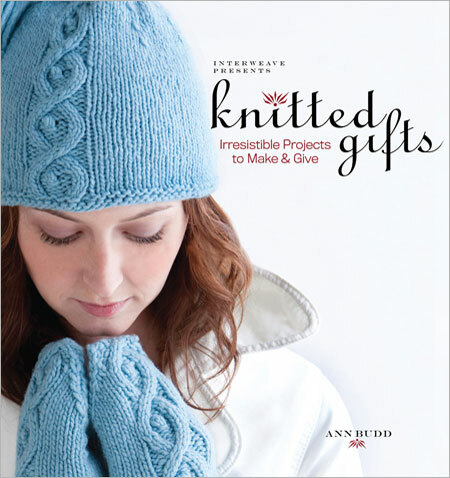 Projects range from easy-to-knit to more involved – an ideal book for all levels.